A Cosmoprof even more packed with beauty, the perfect backdrop for the Cantoni illuminated mirrors , so popular with professionals the world over. 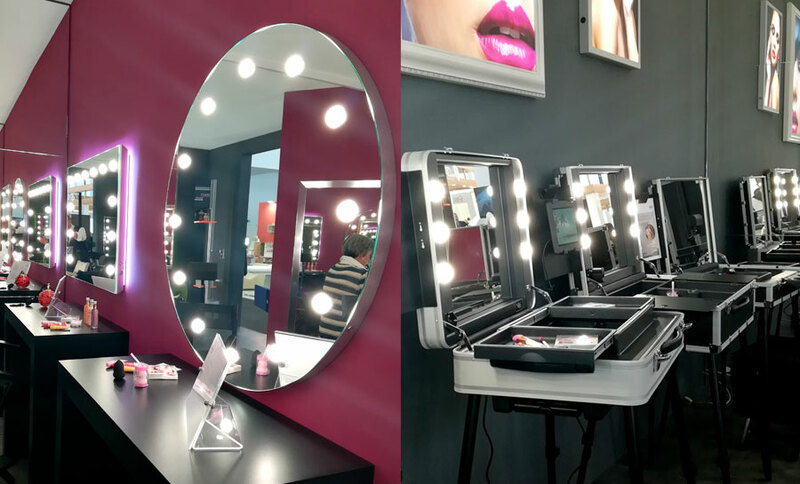 Cantoni’s return to the Bologna trade fair hit the mark, increasing interest in the make-up stations and illuminated mirrors from beauty professionals from 70 countries. Many were given the chance for the first time to see themselves in a different light, the only light capable of eliminating all shadows and offering uniform and perfect lighting in any space. It was amazing to see professionals looking at themselves in wonder, noting the difference between the i-Light system and traditional lights , appreciating made in Italy products, guarantees of quality and durability over time, an indispensable element in tools which make professionals’ work easier in all beauty spheres. Cantoni took part in the fair with partnerships which added value not just in the make up sector anche nei settori barber e beauty, but also in the barbers’ and beauty sectors with Cosmoprof hosting over 265,000 visitors and 3033 firms in a record breaking year. Thanks to its partnership with American Kiss Products, #madeinfrance Hairgum products Blancreme and JCH International, furniture for beauticians, barbers’ shops and make-up studios came to life with innovative cosmetics! And last but by no means least the renewed 100% Italian partnership with B-selfie which brought with it the star system from Valeria Marini to Francesca Rocco, for beauty corner Cantoni. 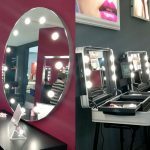 It was a social media success story which included beauty bloggers, influencers and, in particular make up artist make-up artists from both new and old generations with the shared dream of a Cantoni station. 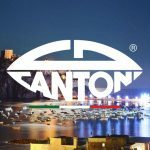 It is a dream which has already come true because the products are all available on cantonishop.com with lots of special offers on their way this spring!